This is the first book to address the design needs of older people in the outdoor environment. It provides information on design principles essential to built environment professionals who want to provide for all users of urban space and who wish to achieve sustainability in their designs. Part one examines the changing experiences of people in the outdoor environment as they age and discusses existing outdoor environments and the aspects and features that help or hinder older people from using and enjoying them. Part two presents the six design principles for ‘streets for life’ and their many individual components. Using photographs and line drawings, a range of design features are presented at all scales of the outdoor environment from street layouts and building form to signs and detail. 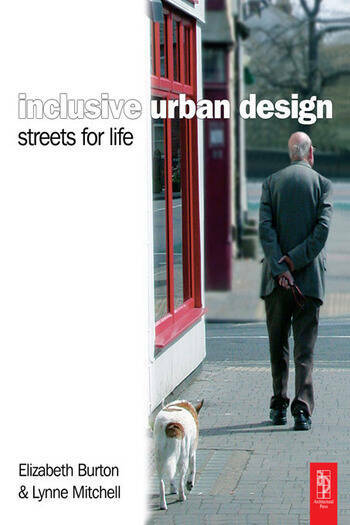 Part three expands on the concept of ‘streets for life’ as the ultimate goal of inclusive urban design. These are outdoor environments that people are able to confidently understand, navigate and use, regardless of age or circumstance, and represent truly sustainable inclusive communities.